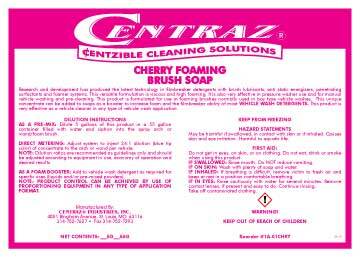 Automotive & Industrial – Centraz Industries Inc.
Cherry Foaming Brush is a high-foaming vehicle wash with the pleasant fragrance of Cherry. It also contains filmbreaker detergents with brush lubricants, anti-static energizers, penetrating surfactants, and foamer systems. 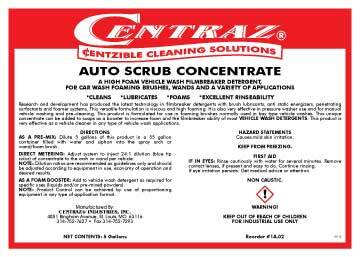 Auto Scrub Concentrate is a high-foaming, viscous detergent for use in both automatic and hand washing of vehicles and for a variety of other applications. Wash It is a high-foaming vehicle detergent. 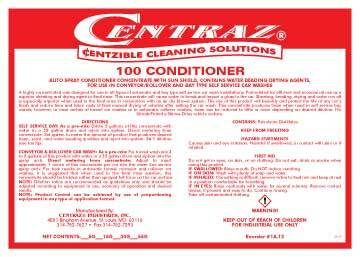 #100 Conditioner contains a sun-shielding compound, petroleum distillates, and water-beading drying agents. 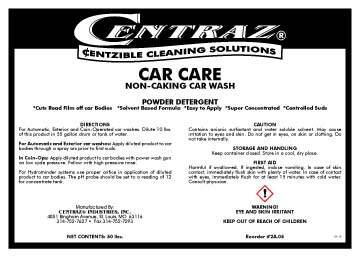 It protects, shines, and helps dry vehicle surfaces without streaking. 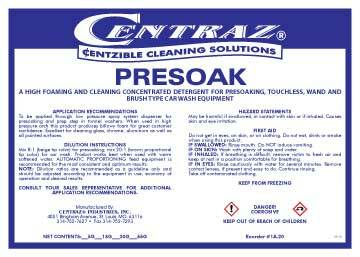 Presoak is a high-foaming vehicle detergent that is an effective pre-cleaner and compatible with most automatic equipment and pressure washers. 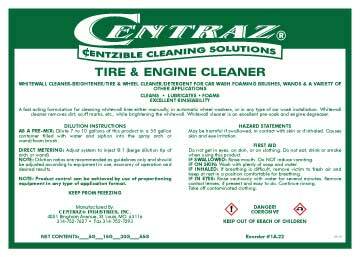 Tire & Engine is a fast-acting, low-foaming vehicle detergent that is ideal for cleaning tires and wheels. It is also effective as a pre-soak and engine degreaser. Red Stuff is a heavy-duty splitting oil & grease cleaner for automotive applications. Non-Caking Car Care is a product that can be used in automated "basket"-type hydrominder systems that are pH sensor-controlled.